Designed specifically for the most rugged marine applications. Seamless conversion of DC battery power to filtered low noise AC household power. AC switch automatically selects AC or DC power inputs (depending on which source is available), ensuring AC household power is available at all times. TruePowerQS includes a digitally controlled, True 3-Stage battery charger that can automatically recharge, condition, and maintain batteries. Whether on the water or on the road, TruePowerQS Series is ideal for large AC load applications such as air conditioners, refrigerators, microwaves, hair dryers, office equipment, power tools, and more. Select the model that’s right for you! Compact, Robust, Easy-to-install, Space Saving Design. Fully Automatic Battery Charger and Inverter - Instant AC transfer switch passes AC shore/station power. Charges batteries when shore/station power is present, or switches safely into DC to AC inverter mode, making AC household power available on the water or on the road. Grade Battery Charger: Built-in digital control technology provides seven user-selectable charge profiles for today’s various battery chemistries. Inverter Mode: Efficient, Quiet Conversion from DC Power to AC Power Filtered Quasi (modified) Sine Wave AC output. Ideal for appliances, power tools and electronics. Inverter delivers 2.8 times surge capacity for demanding applications – air conditioners, microwaves, refrigerators and more. Pure sine wave passes through while connected to AC shore/station power. Designed and constructed to FCC Class A, Marine UL 1236, UL 458, and CE ABYC–A 31 Marine Compliant. 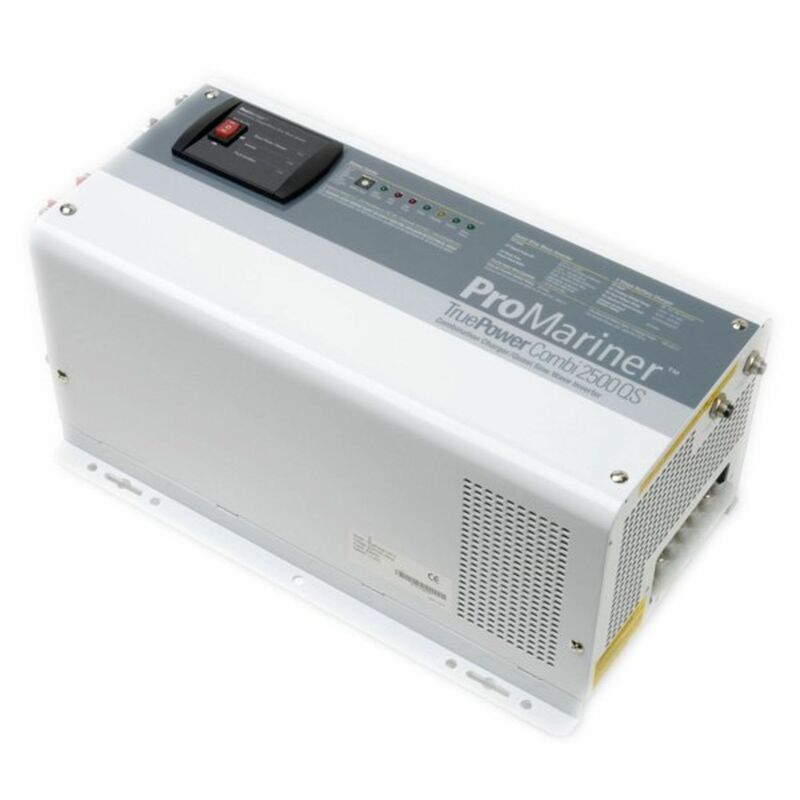 ProMariner is known for their commitment to quality in both design and manufacturing. If you have any questions about whether the True Power 2500QS is right for your application, give our tech team a call at 541-474-4421. *Flat Rate Shipping does not apply to this oversize item. Do you own the 02424? Please, tell us what you think about it. It helps us provide you with better products. Please note that it may take up to 72 hours for your review to appear.